Midnight Mansion Forums - Used keys in wrong order? 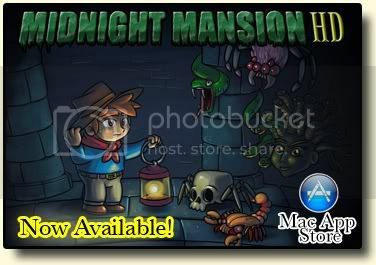 Midnight Mansion Forums › Discussions of approved MM1 and MM1 HD custom mansions (Mac and Windows) › Dragon's Trap, The / normal › Used keys in wrong order? Used keys in wrong order? So I got the yellow key hidden behind the treasure chest, got to the 1st save point, then re-played the whole first area with the gold/silver blocked toggled (so that all the new monsters and money bags were in there), but when I got back to the save point room, I did NOT use the yellow key to get the lantern. Instead I went to room 18500 and used it there. Then I realized this door goes nowhere. Weird. Am I now stuck? I haven't tried to play further... so it's quite possible I"m not. Just wanted to ask since I don't have much time for playing right now, and wanted to report this just in case. Very cool mansion! I'm not sure how I've never played this one before. I love it so far. Re: Used keys in wrong order? Room 19103 - Layer 6 issues with pillars. Easily fixed if pillars moved to layer 5. 19304 - Layer 6 issues if Jack jumps while in secret area. So yeah, I guess I'm not stuck due to having used the yellow key on that dud door. However, I'm wishing I had gotten the lantern. 19305 - Pulled lever at upper-right, not knowing it would stop the platforms, and also definitely not knowing I wouldn't be able to pull it again. I was stuck and had to jump into the lava to reset the room. A cheap death. (Anytime you pull a lever, and you end up having to die because of it, it's a cheap death.) Lever should be able to be pulled again. Gotta say, I'm loving this mansion. Bloody brilliant. 18897 - Just one example of one of the many fun puzzles in this mansion. Oh, just saw this thread. I'll have a look into the reported bugs when I have time. Excellent mansion, and very well done, going to go back and try the hard version now ! This mansion is actually an adaptation of one of my two all-time favourite Sega Master System games1 (Wonder Boy III: The Dragon's Trap. You can even find speed runs on youtube!) And I should say, it's as faithful an adaptation as I could make!